There has been a strong movement by State Farm in Florida to keep the lid on insurance payouts according to attorney Mathew Dollman. I sense this in Ohio as well. You may dismiss this as lawyers talking, but here is a link to a consumer site that has rated State Farm insurance. .http://www.consumeraffairs.com/insurance/statefarm_auto.html Based on 233 ratings, 80% of the ratings gave State Farm one star out of five with five being the best and 1 being the worst. Obviously a failing grade. To be fair 3% did give State Farm 5 stars. Many people are under the misconception that the insurance company is obligated to pay your bills and pain and suffering. They may try to do this with a quick buy out. Be careful because they may be offering only cents on the dollar and you may be left holding the bag. They are out to make a profit for their shareholders. They do this my taking in premiums and paying as little as possible. So what tactics might they use. They may try to get you to give a taped statement. Say the wrong thing and it can come back to haunt you. They may want you to sign authorizations so they can get your treatment records. But they might not stop there. They will possibly look into as much medical history as they can trying to find something to use against you. They may tell you not to get a lawyer because a lawyer will take all of your settlement. And they may say they will not pay you any more with or without a lawyer. When they try to keep you away from a lawyer it’s for their own self interest. That is to pay as little as possible. Their insured customer hit my car. He filed with them two months later. They still have not paid me. Even he is fed up with them. Their employee, Yvonne **, has done nothing but give me the runaround. She is now trying to lower the claim. Unbelievable crappy service bordering on the illegal. As the biggest property casualty insurance company in America, State Farm has become notorious for its deny, and delay tactics. It is alleged that they forged signatures on earthquake waivers and altering engineering reports after Hurricane Katrina. So what can you do to counter act State Farm’s tactics. Launch a proactive strike. Do not wait to counter attack as it may be too late. 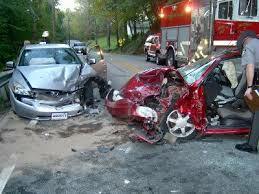 Consult with an experienced personal injury trial lawyer. There is no charge and no obligation for you to contact me today. I will answer your questions and we can decide if you have a serious enough claim that warrants the help and guidance of a car accident lawyer to hold State Farm’s feet to the fire. I welcome your call 1-800-447-6549 locally here in Columbus. Call me today. I love helping injury victims get what’s fair from State Farm.